Friends, you will be amazed to know that VK is not only a benefit to who are using it, but also to them who are either near to a VK user or just wearing VK. Yes!!! You read it right, VK is beneficial for even those people who are just wearing it. As a human, you are surrounded by many situations, which can be either positive or negative. These situations keep depleting your aura. The Cosmic Energy attuned in VK is in the continuous flow and keeps flowing in the aura of a VK user. As a VK user, it keeps you bombarded with the Positive Cosmic Energies 24×7. Even if you are not using VK or making any particular requests to VK, but simply wearing it, it will fill your aura up again and again with the Positive Cosmic Energies whenever required. The energies from VK are so instant that they fill up your aura quite quick. 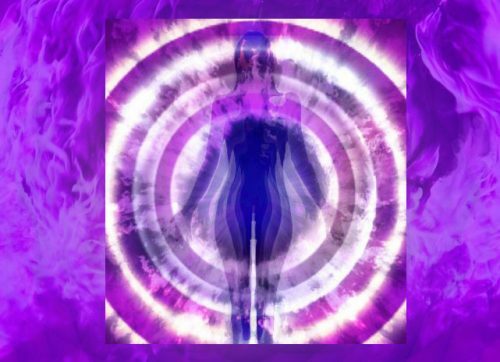 The moment you slip down or move into negative energy, the Cosmic Energies fill your aura back again quite quick. This way it is less likely that you stay negative or in negative energy for long. People who are just wearing VK and not using it are also facing situations like less anger, more positivity, more benefits, more protection, more safety, more happiness, less guilt, less sadness. They are amazed to discover that they are not able to stay angry for long. They are surprised to be at ease. They are getting more positive and slipping in habit of being calm. They are wishing to stay happy and choosing to be positive. As we know that the aura of a VK user is bombarded with Positive Cosmic Energies, these are also being forwarded to the people who are connected to the aura of a VK user, specially kids. Newborn babies and small kids have an automatic benefit of the Cosmic Energy through VK which their mothers are wearing. The small kids and new born babies are connected to their mother’s aura till a certain age. So, even they can get benefits of Cosmic Energies when their mother’s wear VK, even if they don’t wear. One biggest benefit which no one can ever think of is….VK creates an immediate shield around you in any fearful, strange, unwanted, weird situation. There are many people who have an evil eye on you or your family, there are situations where there can be unwanted negative energies, and these unwanted energies might harm you, scare you, haunt you or leave you in fear. In these and any other similar situation, just wearing VK immediately creates a shield around you. You are always safe even if you are just wearing VK and not using or not using much. Sir,it’s about vk seeder .Is vk seeder is to be reattuned whenever I shift to another house as I do not own a house. Only attuned address need to be changed if you shift to another house. plz mail us at “vkmagic59@gmail.com” to know more about vk. Feel very cool and calm with VK and you as my protector. Thank you very much Sir. Not worried now about people back bitting me, judging me or having any misunderstandings. In this world there are many believers of God who can recite Holy books from the first page to the last but few practitioners. Thank you very much for VK and also being my protector. I pay my humble regards to you for your work on bringing up the lives of millions with your in depth research and dedication in the field of energy. I have been highly inspired by reading your articles and understanding the vast powers of energy. I have been thinking to get my personalized VK, I needed to tell you some details about me and seek your guidance. Sir, I am really optimistic and hard working person but I have faced lots of struggle in my life since my childhood and it has shaped me in an introvert person, doesn’t means I cant stand the stage but its really hard to share anything related to my life to any one, doesnt matters how bad things are, I am not able to speak to any one and sometimes it burdens the heart, but I cant let go of this behaviour. Even sometimes if I speak to any of my friend for any personal situation whatsoever, I regret it later. Its totally like Kabir’s saying dont tell your problems to anyone as they will do nothing but just laugh. Will I be able to overcome this problem with my personal VK? One more thing is that I have got fear of road accidents, having lost my father in a road accident at age of 10. I dont know how but somehow it has imprinted upon me and I fear to drive a vehicle. I dont get confidence that I can drive well and feel like I am going to meet an accident. I even day dream about it like for example if I start to think that I will buy a car and drive it, the next thought will be that I will meet an accident. Is there any way to get rid of this problem? Can VK be of any assistance in these regards? Please guide me with your divine knowledge. Everyone of us have some or the other fears, someone has instilled fake fears in our minds, some or the other is suffering from some or the other issues in life. vk is not a person specific and it can help many, if it was personal it was never shared with world by sharat sir. He knows all the pain humanity is going through and that is why he hunted, decided and shared something like vk. It holds divine energies and can help you and all you want to see benefiting and happy in all aspects of your life, weather it is fear or lack of self love, inner peace, strength, nature or your feelings. Feel comfortable to explore this divine tool launched by sharat sir for only good of all of us. Very true that VK pulls out the wearer from anger and makes the wearer more compassionate than before.